I say this every time I am back from a great trip, but this time I really mean it: I want to move to Amsterdam! Francesco had planned a business trip to the Netherlands in late June and I was lucky to tag along. While he was hard at work, I spent a week wandering the streets and canals, alone with my thoughts. 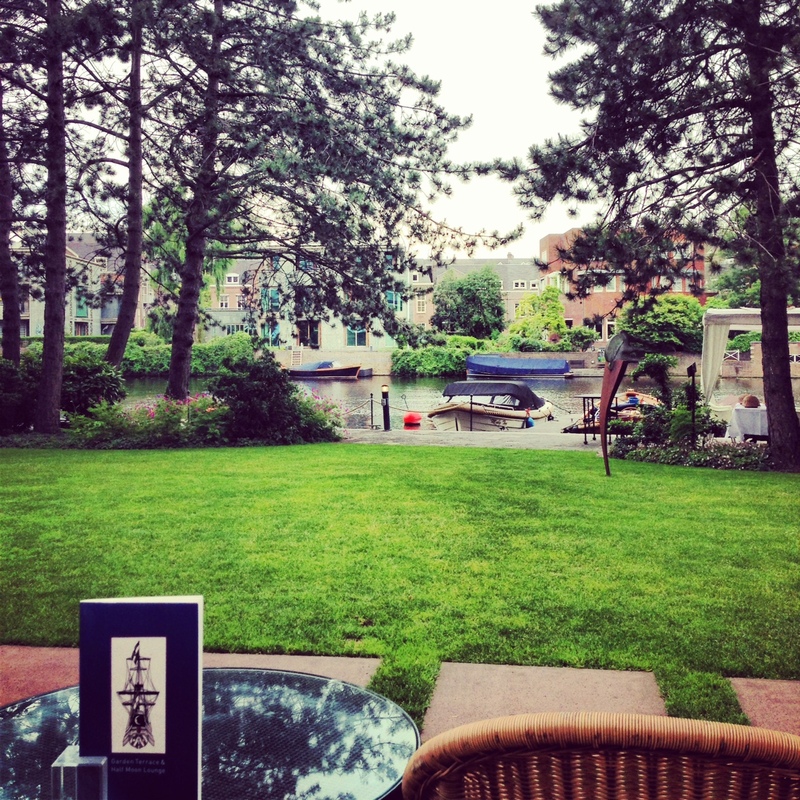 Everywhere I looked, I imagined myself living in the moment, riding my bike to and fro, sipping a cold beer in an outdoor cafe’, living on one of the magnificent homes along the canals. I can absolutely live here, I told myself…and there is no doubt in my mind that I actually could. There is so much to do, see, experience in this city. 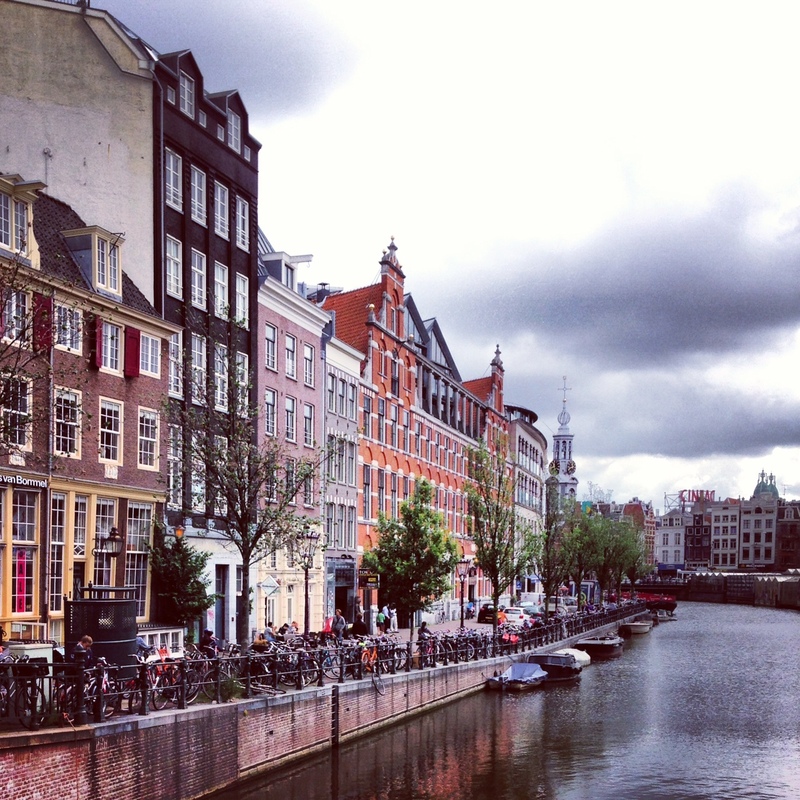 In 5 days, I barely scratched the surface…but I am not complaining…I will be back, Amsterdam, I will be back. As tourists would do, we visited every museum imaginable. 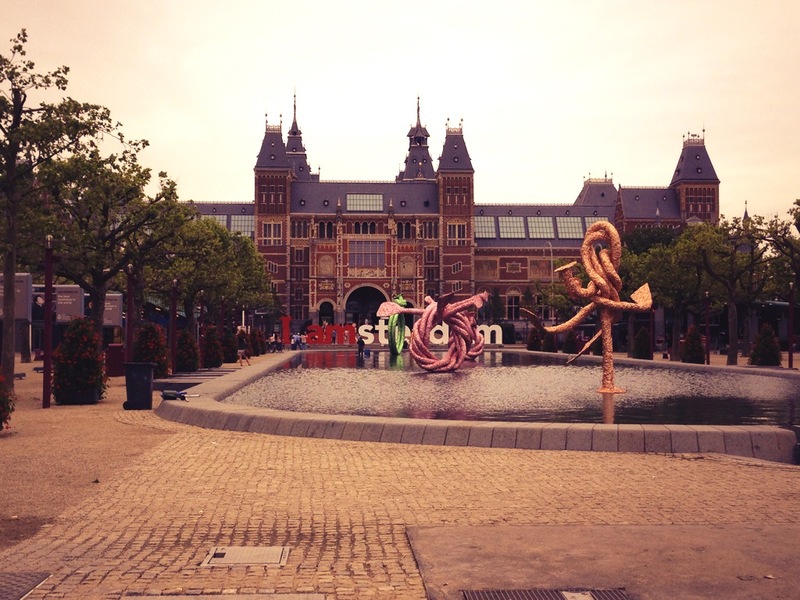 Below is the Rijksmuseum, or State Museum, a mastodon of a building with substance, history and art. A darn pretty good combination. Rembrandt’s “Night Watch” is included in the collection as well as many more Dutch masterpieces. The Van Gogh Museum is obviously a sight – the man’s genius is unmistakable in his big, fat strokes, studies in color and pencil sketches. The Flower Market was my next stop. Bulbs, bulbs and more bulbs of so many colors! 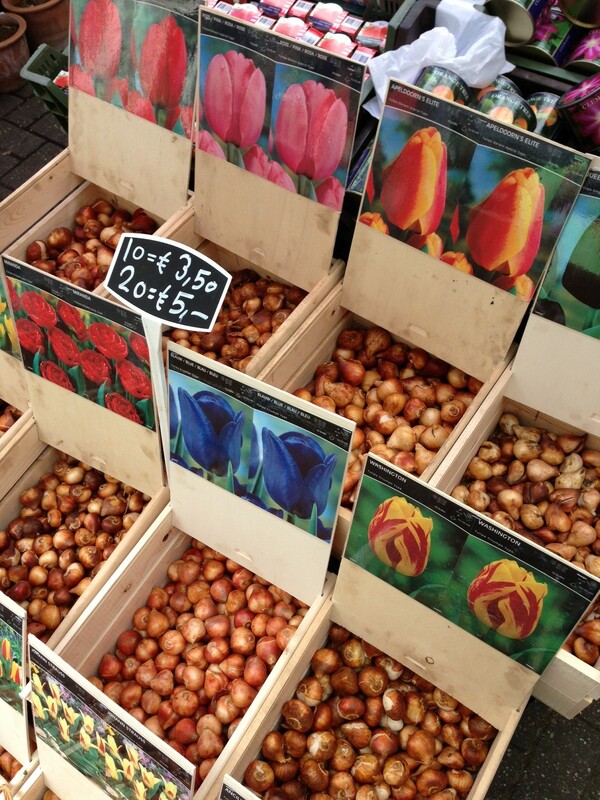 Apparently, the Netherlands produce more than five billions tulip bulbs – a few of those came home with me (but only those with a U.S. and Canada certificate). My favorites are called “Queen of the Night” – a delicious dark burgundy color with black tones. 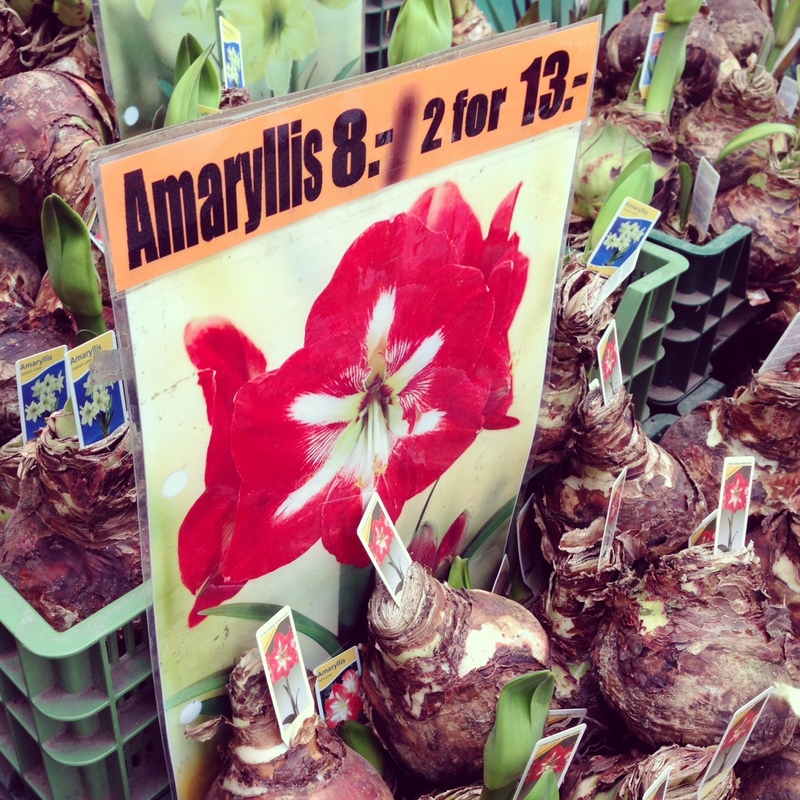 The bulbs took over the narrow street and each vendor showed off his or her spread of flowers with colorful photographs or wooden clogs or flowers. 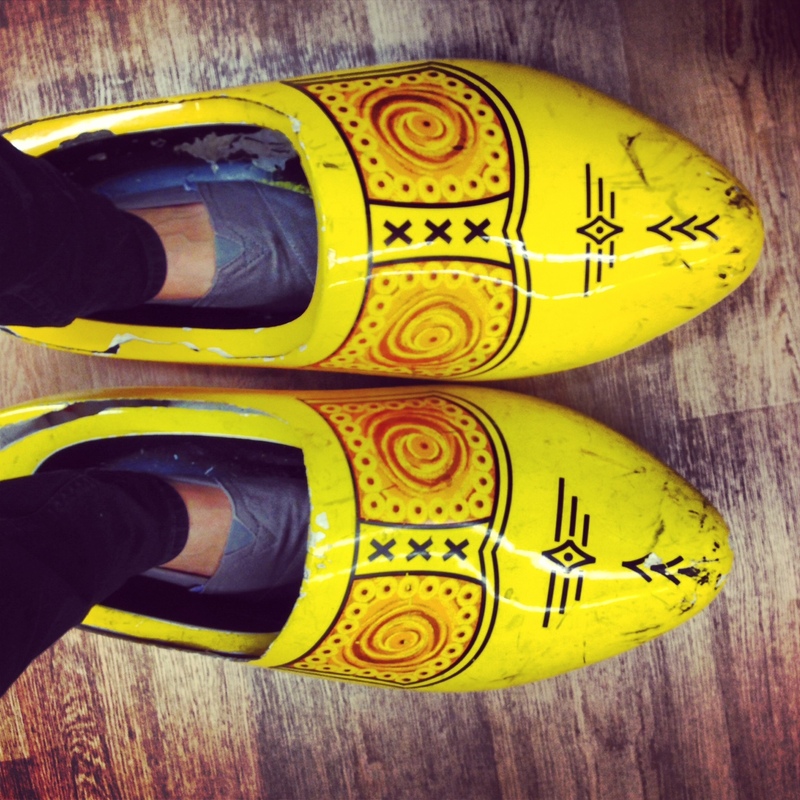 Another unofficial symbol of the Netherlands are the wooden clogs…and you know I couldn’t resist. I found these in a shop along the Flower Market street and had to try them on. Cute, eh? 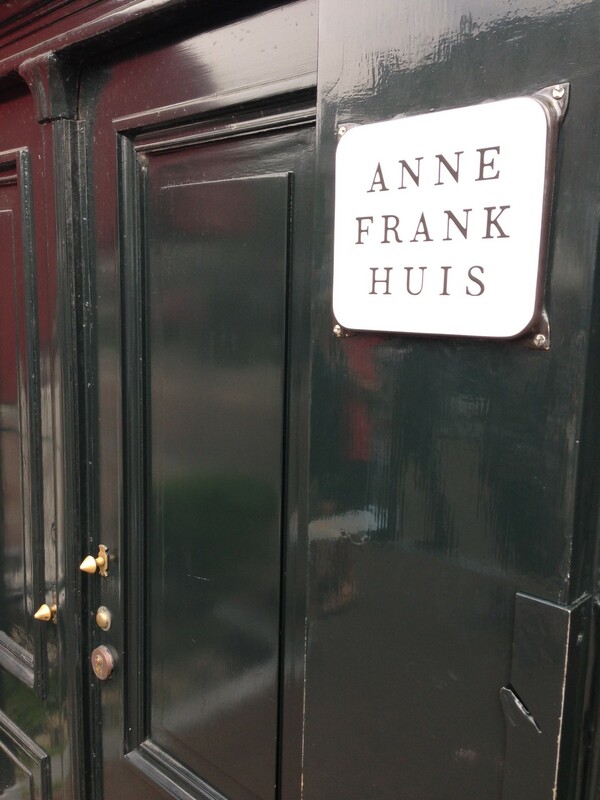 One place I was both anxious and looking forward to visiting was Anne Frank’s House, which was turned into a museum by her father Otto. It was an incredible, emotional experience: Touching the walls where she lived, looking out from the same window, standing in her bedroom. I cried my way through the museum. Those 45 minutes left a hole in my heart. Food in Amsterdam was surprisingly different than I expected. 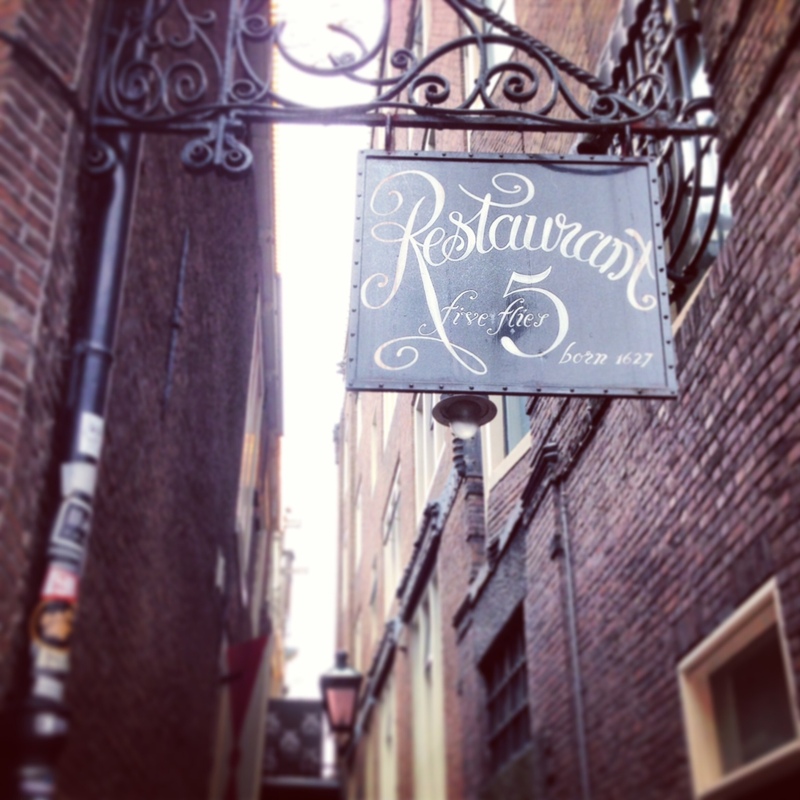 We ate delicious Argentine steaks, enormous salads and were lucky enough to visit and savor the cuisine at The Five Flies Restaurant, one of the oldest restaurants in Amsterdam – built in the 17th century. Walking in, one is transported to a parallel universe – Rembrandt’s etchings on the walls, dark wood paneling, crispy white tablecloths and an incredibly tasty food. 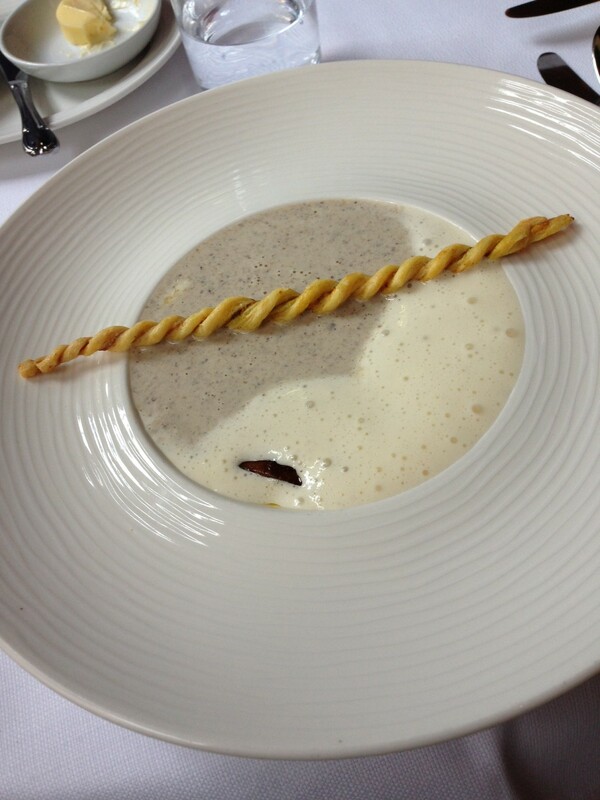 crispy curry flavored bread stick.” That thing was. out. of. this. world. 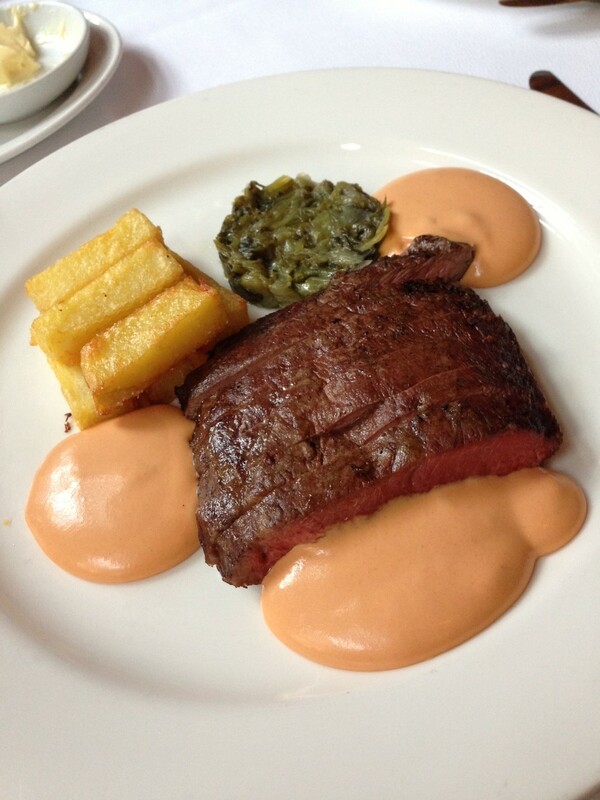 and sauce Hollandaise flavored with tomato” or as I vulgarly called it: a piece of steak. I mean, look at that beauty! So pink, soft, delicious. The entire meal was an experience – from beginning to end, I was in awe of the service, the flavors of my food and the uniqueness of the restaurant itself. Fun fact: some of the restaurant’s clientele included Mick Jagger, Walt Disney, Bruce Springsteen among others. Not too shabby. One night close to the end of our trip, Francesco had a business dinner to attend, so I decided to go back to my hotel and sit by the canal…with a salad and some ice cream. This was my view. The canals…I couldn’t get enough of them. Bikes parked on its iron gates. There were so many people riding their vehicles throughout the city – of all ages. What a stunning way to live. If we could get half of the bike infrastructure the Netherlands have, we would be a much healthier, happier society. 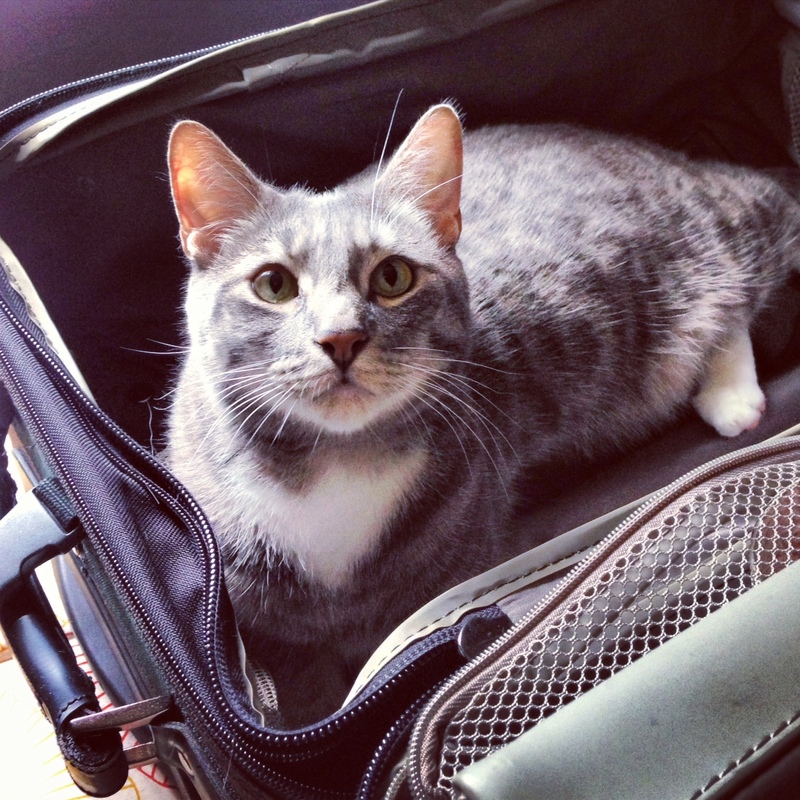 It was hard leaving, but someone was happy we were home. This is Diego in all its glory. Love this fur ball.